Yet again, captivity has taken an animal's life. 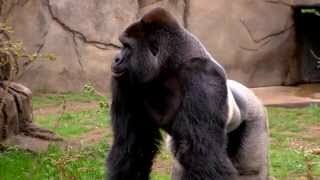 The latest victim: a 17-year-old gorilla named Harambe, who was gunned down after a young boy managed to crawl through a fence before falling into his enclosure at the Cincinnati Zoo. Perhaps the only thing more tragic than Harambe's death was his life. While the debate about whether Cincinnati Zoo should have killed him or not rages on, surely we can all agree that animals deserve better than a life sentence in a zoo.